Company:company should be equal sized or larger to avoid becoming food. 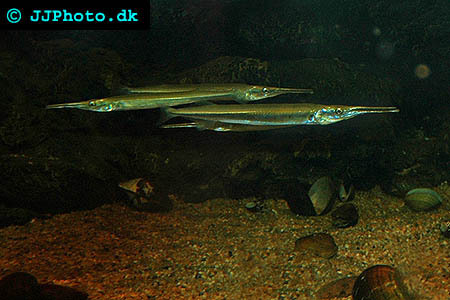 Aquarium setup: Xenentodon cancila(Freshwater garfish) is a schooling fish and should be kept in groups of 3 or more, the minimum sized tank for a group of these fish would be 75 gallons (48x20x20 inches). When doing maintenance in the tank be wary of the fishes sharp teeth, they can give a painful bite and inflict nasty wounds. 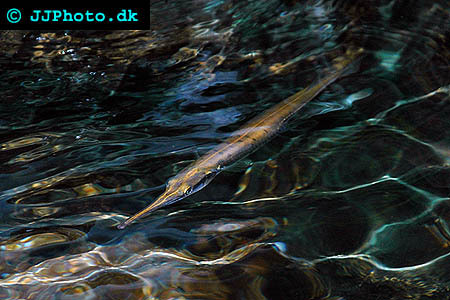 Feeding: Live foods only, fish, river/ghost shrimp, crickets and tadpoles will all be taken. Breeding: Breeding is simple as long as suitable male/female pairs are kept together, initiate spawning by feeding large amounts of small live fish and doing large daily water changes. Raising the fry is difficult as they will only take live food and are cannibalistic, day old livebearer fry make the best foods.